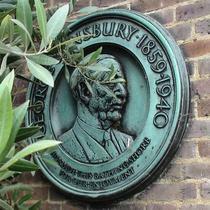 George Lansbury, 1859 -1940, who made this bathing-shore for our enjoyment. The Lido Pavilion was built in 1930 to provide mixed bathing and sunbathing facilities. 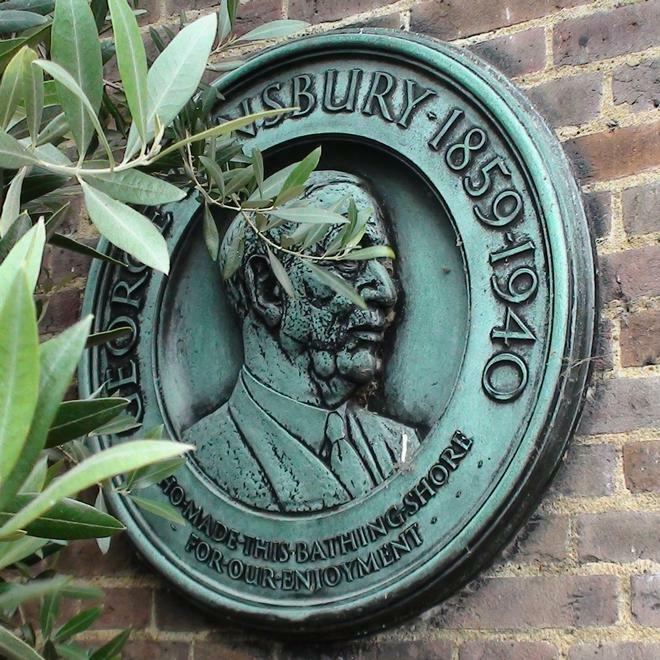 As the First Commissioner of Works, in the Depression, Lansbury was keen to improve recreational facilities and appealed for funds. Mr D'Arcy Cooper responded with £5,000 and the Pavilion was built in memory of his son. The poem is part of ‘Riddles’, R.F.C. by John Drinkwater, 1918. Erected in 1885 this is the oldest surviving "blue" plaque to a woman.